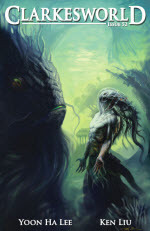 As you may have noticed, the Hugo Award nominating period has opened for this year. Consequently everyone is making eligibility posts. I wasn’t too fussed about that until I discovered that Jim Fitzpatrick is designing this year’s trophy base. As he is one of my favorite artists, I can’t wait to see what it looks like. And obviously I would love to have one. Unfortunately I haven’t done much award-worthy in the past year. I have been too busy doing trans stuff. Technically I am eligible for Fan Writer, but I have done so little that it would be wrong to nominate me. And anyway, I have one of those already. 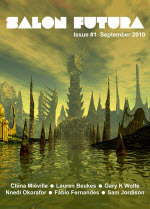 I do have one published short story from last year. It is called “A Piece of the Puzzle” and it appeared in the anthology, The Hotwells Horror, which a bunch of us put together to celebrate the life of the late David J Rodger. The story is set in Prohibition-era New York and features a young woman called Sonia Greene who has ambitions to be a writer. All of the profits from the sale of the book go to the mental health charity, MIND, so you would be doing a good thing by buying a copy. It also occurs to me that my keynote speech from Worlding SF is a Related Work of sorts. You can watch the whole thing for free here. 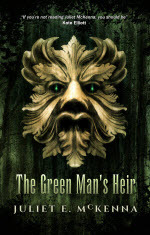 Most importantly, however, The Green Man’s Heir is an eligible novel. Competition in the Hugos is fierce, but I would love to see Juliet appear in the also-ran list. And if you happen to be a member of the British Fantasy Society, you know what you need to do. This entry was posted in Academic, Awards, Personal. Bookmark the permalink.